Dunton Hot Springs is located in the Rocky Mountains of Colorado. The area is a nature-lover's dream, with abundant summer and winter outdoor activities. Nearby Telluride is also the home of a popular annual film festival. 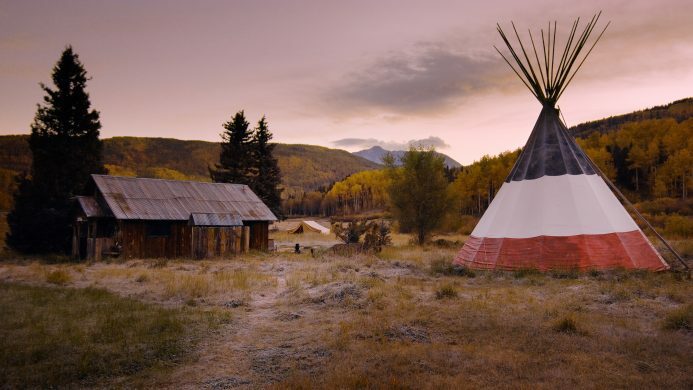 The Dunton Hot Springs Resort is a unique and exclusive resort in Colorado, built on the site of an old ghost town with refurbished buildings, inspiring scenery, and five-star service. Deep in the Colorado Rockies lies a mining ghost town like you've never seen before. The seemingly rustic and hand-hewn cabins of Dunton Hot Springs are scattered around this picturesque alpine valley, but look closer, and you'll find some of the most inventive and luxurious accommodations anywhere in the world. 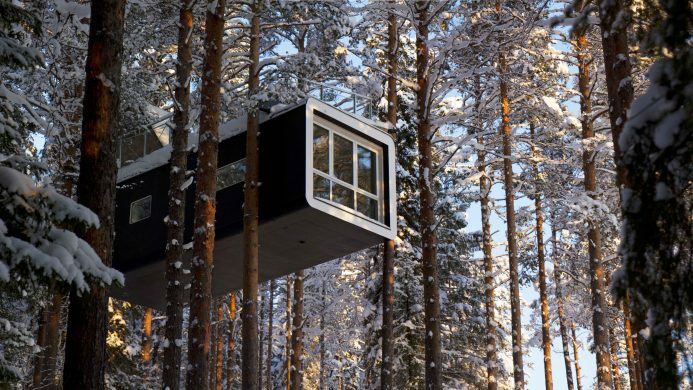 With 21 unique individual cabins, this resort takes pride in the small, personal touches. There's a library, spa, an open-air chapel, and the saloon, where mouth-watering communal meals prepared by Chef Dennis will have you marveling right along with your neighbors. 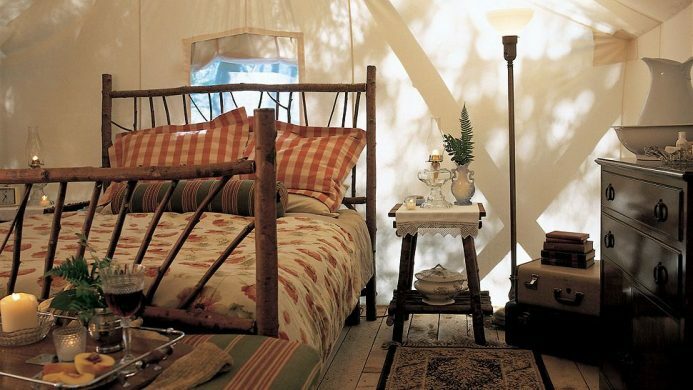 For those looking to get closer to nature, the eight safari-style canvas tents perched into an Alpine clearing at Cresto Ranch introduce full-frills resort camping to the Rockies. Spend days on horseback, fly-fishing or engaging in pilates and yoga. The only survival skill you'll need is the ability to book a massage. Enjoy relaxing under sunset-streaked skies, be soothed by the sounds of the waterfall as you wander the grounds, sleep in a summer tipi, or go all-out with every conceivable outdoor activity - from horseback riding and mountain biking in summer to heli-skiing and ice-climbing in winter. Soothe your muscles post-workout at one of the six hot-spring-fed pools around the property. Miners never had it so good. 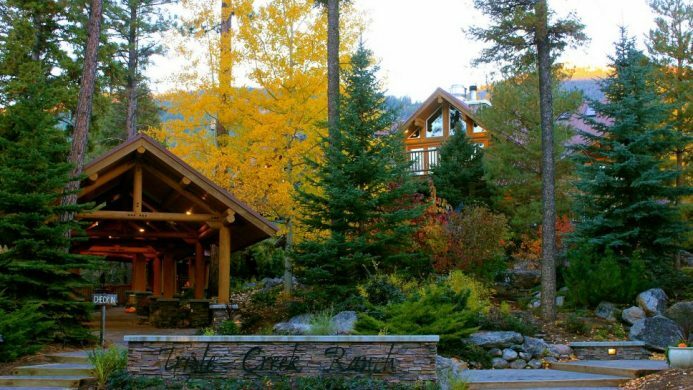 Send an availability request with your requested dates to the Dunton Hot Springs. 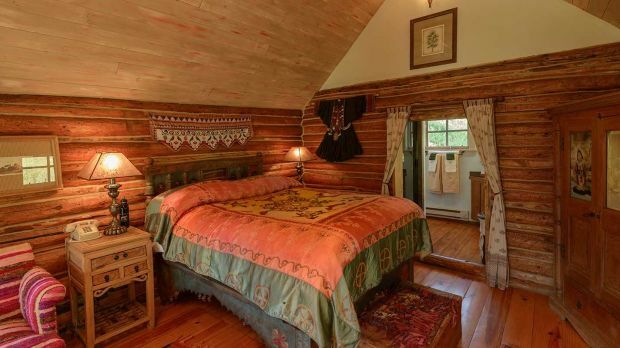 Cabin with 1 King bed, wood-burning stove and a view of the the waterfall. Large cabin with five bedrooms and 3.5 bathrooms.